There is a better than average chance you use Google Maps at least occasionally. It is a well established leader in helping just about anyone with a computer or smartphone learn more about the world around them, tell them how to get there, and of course, tell them what it all looks like from a street-level-point-of-view. Google accomplished this task initially by driving camera equipped cars and bicycles all over the place, capturing the point of view from the street and tying that in to GPS location data, local positions, and so on. The thing is, most of the driven routes have been covered (no, we know not all). For the paths less traveled, Google Maps is interested in having folks take to the trails and capture the scenes using their Trekker camera back pack camera system. The Trekker is a 42-pound backpack that houses a 15-lens camera system and is powered by an Android device. The lens set-up is just like the arrangement on the Google vehicles. It takes 360-degree images every 2.5 seconds. The Trekker was used to obtain street view images of Hashima Island in Japan recently. So you can appreciate what can be accomplished with the Trekker. Google is making Trekker available for non-profits, university, research, tourism entities, or even individuals. You can get to the online application here. As you might expect, Google cannot promise a response to everyone, but if you have a good project planned, hype it up on the request. Where do you want to go and be a Trekker? Interesting, This is some real innovative idea from Google. I hope google dont dare take the next step, " to enter into someone's house", which will be useful for Burglars. Can somebody pht the idea to google about doing tbis on all the good mountain bike trai . Such as Dalby forest in the uk. Would be amazing or the Marin trail in Wales? 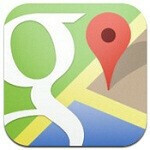 Soon every square inch of the world is going to be covered by Google Maps. So, how far off is it to when we can start doing this from smartphones with GPS and panoramic shots? I have a good spot for it to be used near me. There is a huge trail from a park near my apt to a subway. I can never get an accurate miles description when trying to put in walking directions.